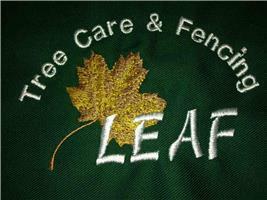 LEAF FENCING & TREE CARE - Fencing/Gates, Landscaper based in Datchet, Berkshire. Our Motto at LEAF is courtesy, honesty, reliability, punctuality. Most tradesmen can erect a fence, many can't match us on the above. We treat you, your home, your garden and your family as we would wish to be treated when our homes are visited by tradesmen. We can deal with almost any aspect of care for your gardens and their borders. Our advice is impartial and free so give us a call.